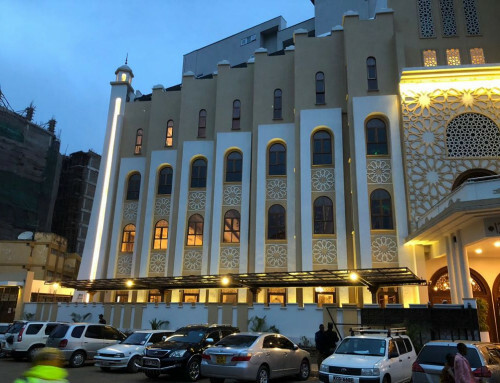 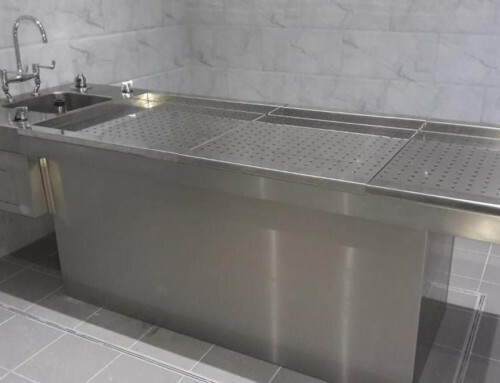 Kenyon were commissioned to design the Ghusl Room at a Manchester Masjid through recommendation by other Masjid trustees where we have completed Ghusl Rooms. 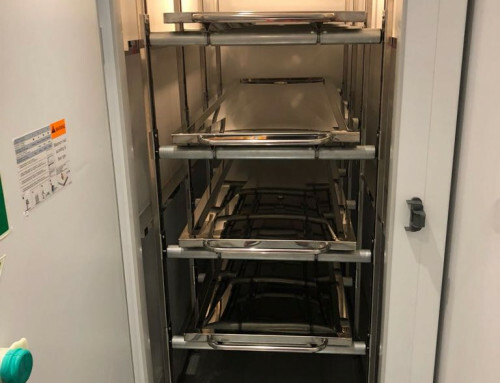 Kenyon installed a Kenyon FD 1-3 Body high efficiency Body Chamber utilising a fully height adjustable racking system that was made from 316 bright polished Stainless Steel. 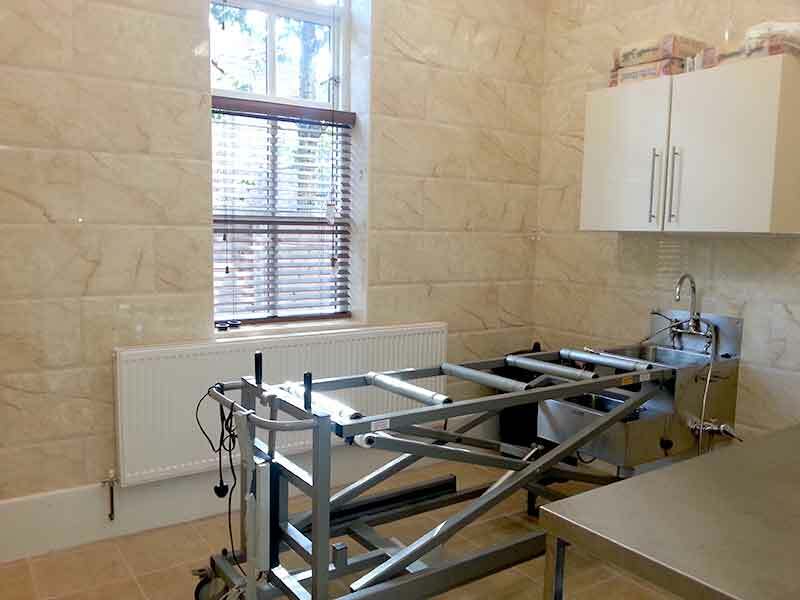 This system is totally Modular for total free air movement between tiers and utilising Stub Rollers for complete Chamber access. 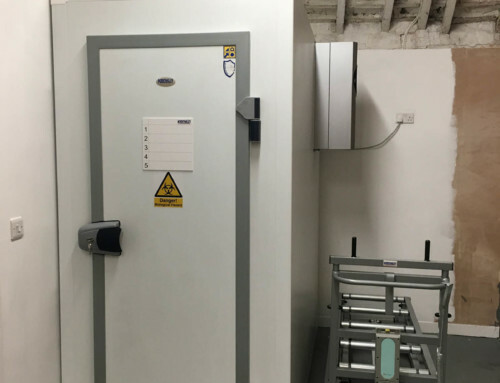 The Chamber utilised our Kenyon Halo Refrigeration unit. 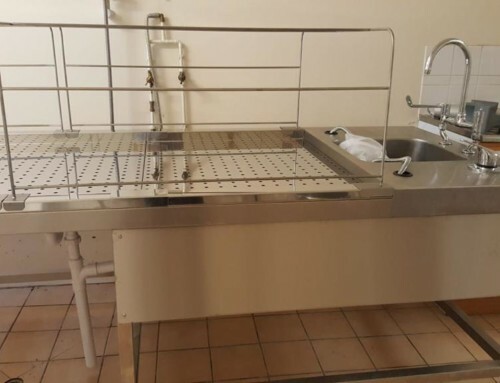 We also supplied a Kenyon Double Embalming Sink unit. 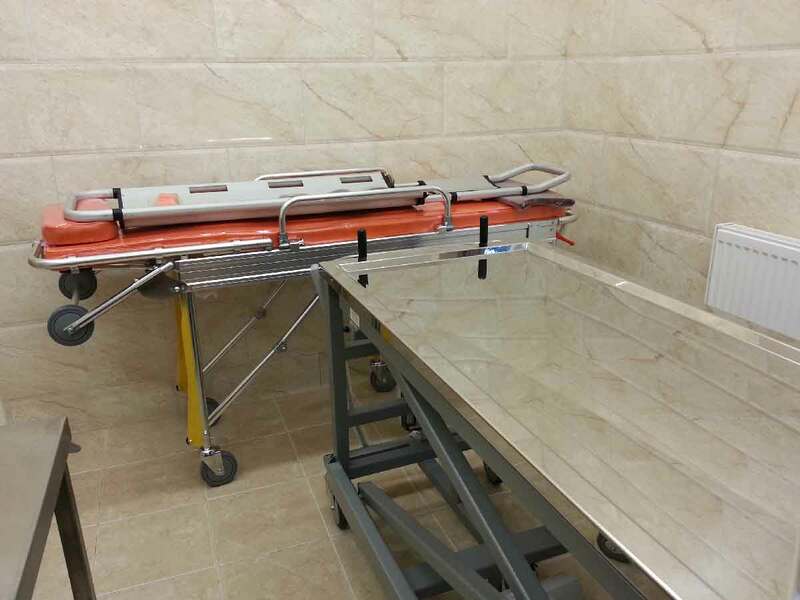 This works with our HET Stacking and Embalming Trolley that docks over the Sink. 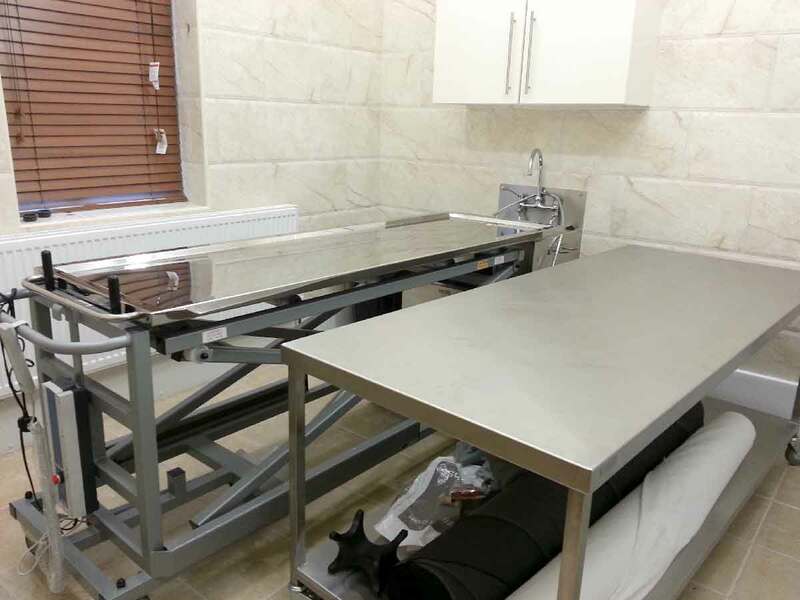 Also supplied was a 304 Stainless Steel Preparation Table with under shelf.